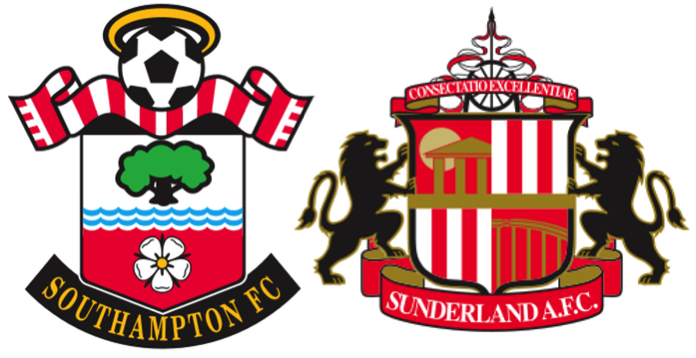 Wow and wow again, Sofiane Boufal scored his first goal for Saints in spectacular style to light up a truly uninspiring game of truly horrific proportions. It was enough to see off a really awful Sunderland side. David Moyes is in real trouble with the North Easterners and will be lucky to see out the season at the present rate. To compound his miserable day he was sent to the stands by referee Chris Kavanagh for protesting a decision against an alleged foul on Anichebe in the penalty area. Once again Claude Puel rang the changes, with McCarthy in goal, a back four of Stephens, Fonte, Yoshida and McQueen. Midfield was entrusted to Reed, Ward-Prowse and Højbjerg, while up front were Boufal (I thought he was being 'drip-fed' into the team? ), Rodriguez and the almost forgotten Isgrove. Not much in the way of experience across that team, but it should have been enough to comfortably see off an abysmal Sunderland. It didn't quite work out like that, as Saints played some ponderous, tentative football at times and just didn't do anything meaningful with the sometimes ridiculous amounts of possession that they had. So many times they worked the ball into the final third and then ... Completely ran out of ideas. Things got so bad, that I began to wonder who would win 'The Great British Bake Off', which was being resolved at the same time on TV. Yes, things were that bad. JRod's latest comeback was fairly brief, not even lasting half an hour. In a fairly hard clash of heads, he came off second best and had to go off with concussion. Hopefully he should be back fairly quickly after that. JRod's replacement, Olomola is a fairly hefty unit, but he is a bit rough around the edges and maybe his first team chance has arrived a bit too soon. Other youngsters did impress in the game, McCarthy looks the business in goal and exuded a general air of confidence which spread to the back four. Stephens made a fairly decent fist of being a replacement right back, but I wouldn't want to see him there every week. Cédric can't return soon enough for me. McQueen impressed once again and it now looks as if we have three decent left backs. Up front Isgrove was looking a lost soul, a winger in a team that doesn't use wingers. I will be surprised if we see him again. Olomola just spent the game doing a passable impression of a headless chicken, to Puel's obvious annoyance on the sidelines. Which left Boufal trying just a bit too hard to make things happen. Having said that, he did make things happen in the 66th minute. 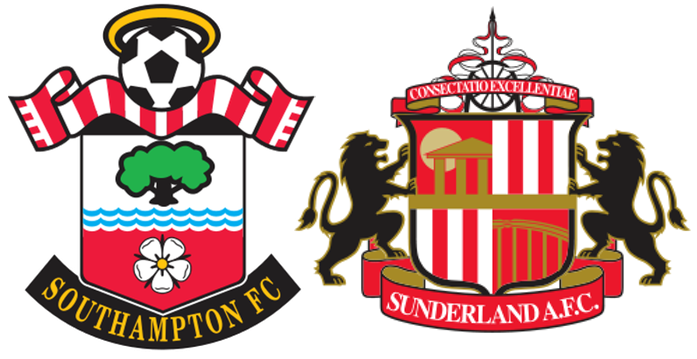 As the second half ticked by and nothing much of note was happening a long hopeful cross field punt, that would have looked at home on a rugby pitch, was trapped by Boufal in one wonderfully simple looking move and then wrong footing the Sunderland defender. In a flash it was smashed beyond the diving Pickford in the Sunderland goal. It was something special and no mistake. The crowd went mental. Have a look at the tab above marked 'Boufal's goal!' and give yourself a treat. That was enough to put the game beyond Sunderland's reach. Except there was a huge let off at the death, when Yoshida tripped Anichebe in the penalty area. Mr Kavanah waved the appeals away and sent the apoplectic Moyes to the stands for his troubles. So, it's the Arsenal away in the next round.